Peacekeepers and U.N. police officers conduct a search for weapons and contraband, Juba, South Sudan, July 19, 2016 (U.N. photo by Eric Kanalstein). 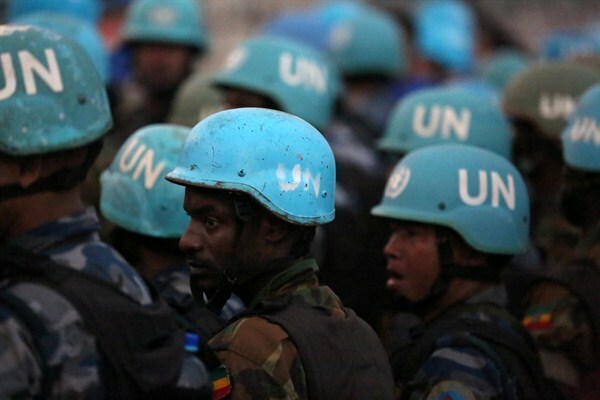 The United Nations is constantly embroiled in brutal conflicts, but some do it vastly more political harm than others. The organization has never fully recovered from its failure to prevent the Rwandan genocide and Srebrenica massacre in the 1990s. Now it faces simultaneous crises in South Sudan and Syria that may do it equally severe damage.